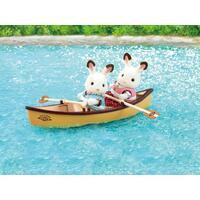 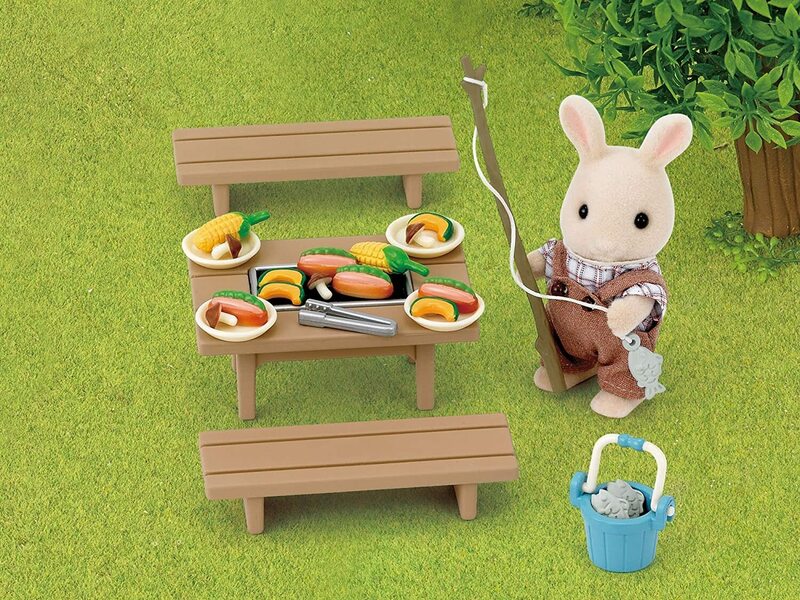 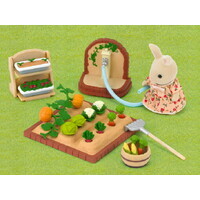 Sylvanians love a good barbecue - they'll find any excuse to get together and eat lots of scrummy food! 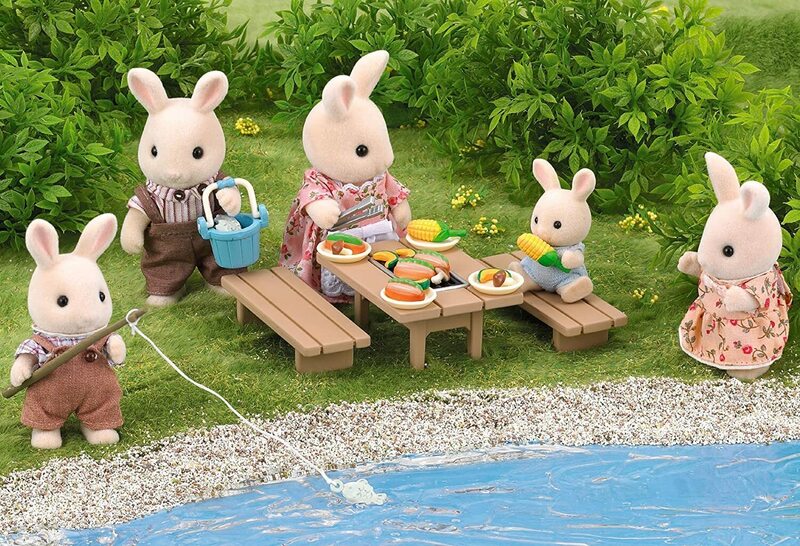 And they certainly don't do things by halves - they'll even go out fishing with the fishing rod and bucket that's included to find 2 nice plump fish to pop onto the barbecue. 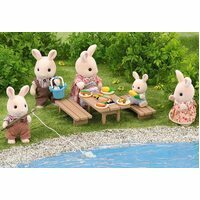 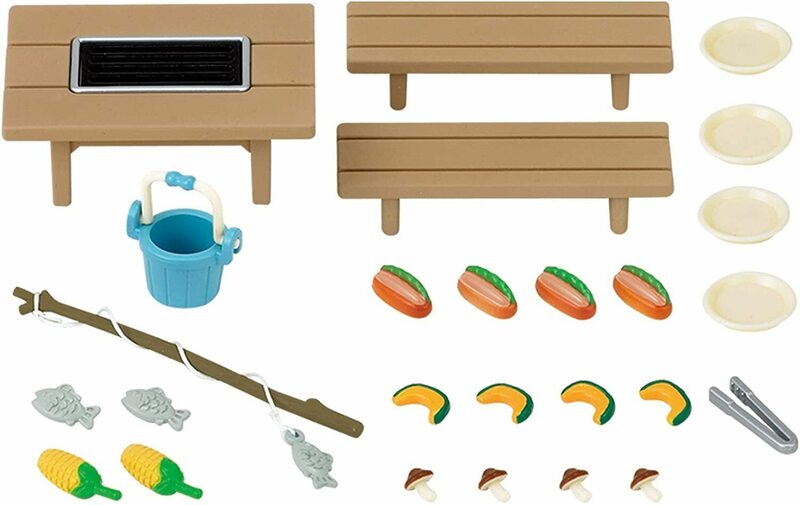 With this lovely set they can all sit around together on the 2 benches and tuck into the fish, 4 slices of pumpkin, 4 hot dogs, 4 mushrooms and 2 corn on the cobs that are included. 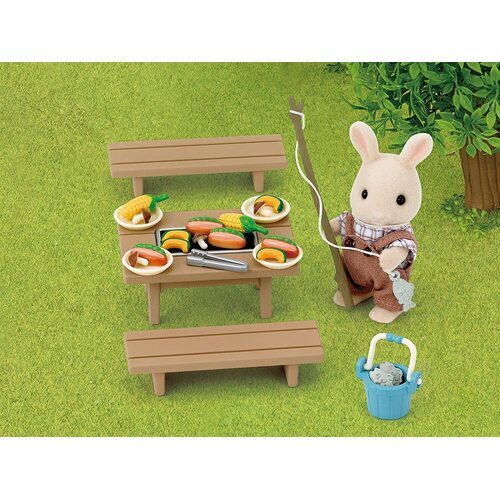 A handy pair of tongs for the barbecue master and 4 plates are also provided with this set. 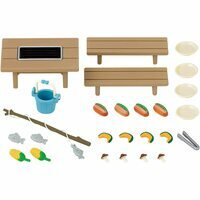 Set includes: 1 table with grill, 2 benches, 1 bucket, 1 fishing rod, 2 fish, 4 dishes, 2 corns, 1 tongs, 4 hot dogs, 4 mushrooms, 4 pumpkins.